Testing out my cursive. Don’t forget to listen! Previous PostWin Any Argument – Hughes it or Lose it?Next PostIf A Guy Doesn’t Have On The Right Shoes, Is it A Deal Breaker? 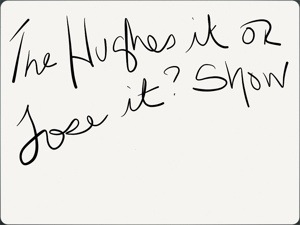 – Hughes it or Lose it?